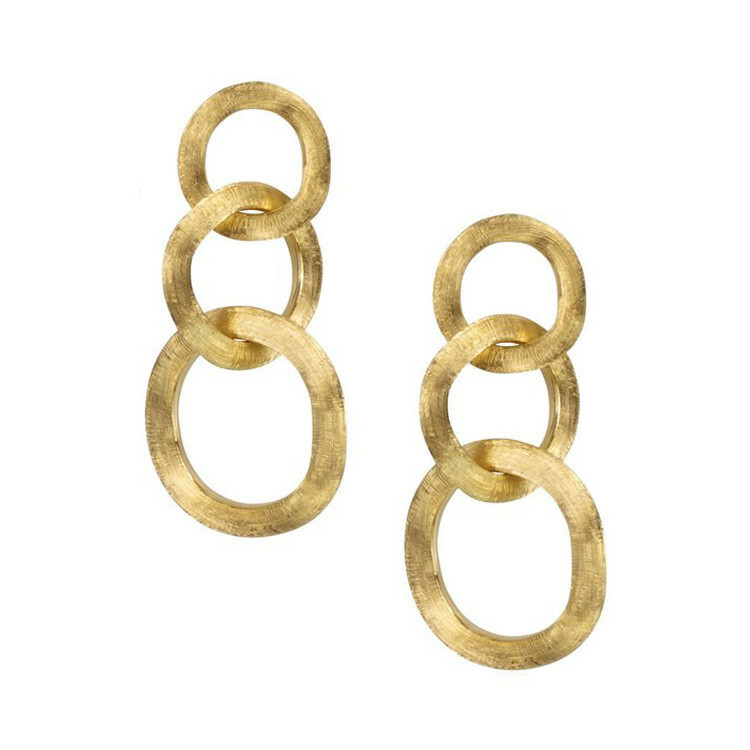 Three hoops link together to form these fabulous gold earrings from Marco Bicego's Jaipur collection! Crafted in 18K precious metal, the beautiful and easy-to-wear dangle hoop earrings measure 1.65". Italian artisans have hand-engraved the pretty pair, making them easily recognizable as one of the designer's creations; the Marco Bicego signature detail delivers a mark of excellence on the yellow gold earrings.